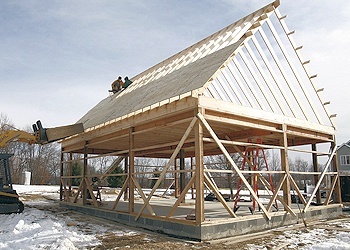 On this page, you will find links to more resources, tools and information about different aspects of barn construction. In addition, you'll be able to familarize yourself with different types and styles of roofs, foundations, roof dormers, etc. We have also added information on how to build barn doors, lean-to addition and some other structures. Have fun learning and Let us know if we can be of any assistance. Please let us know if you would like to see any other information here related to barns or construction.